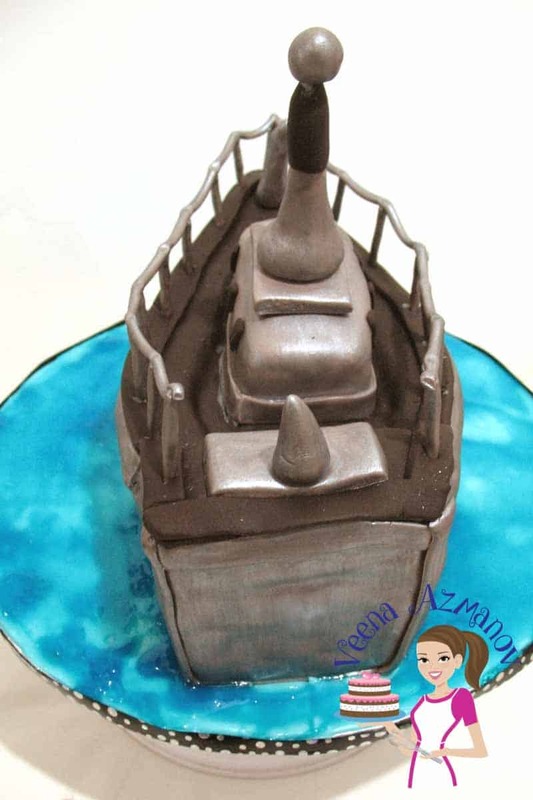 Nothing says happy birthday to a navy boy celebrating his birthday but to give him a navy boat cake! Simple and easy cake to make with just a little carving skill needed. 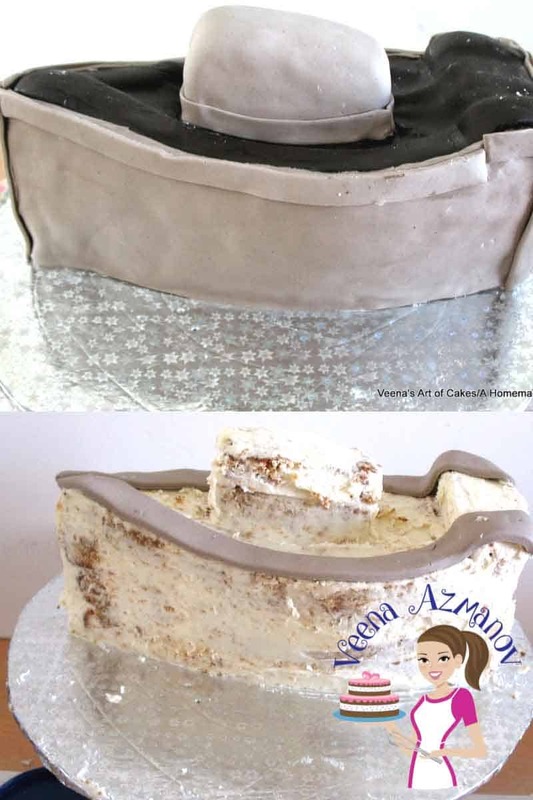 As a cake decorator we often have huge expectation of what we want to make on our cakes right? 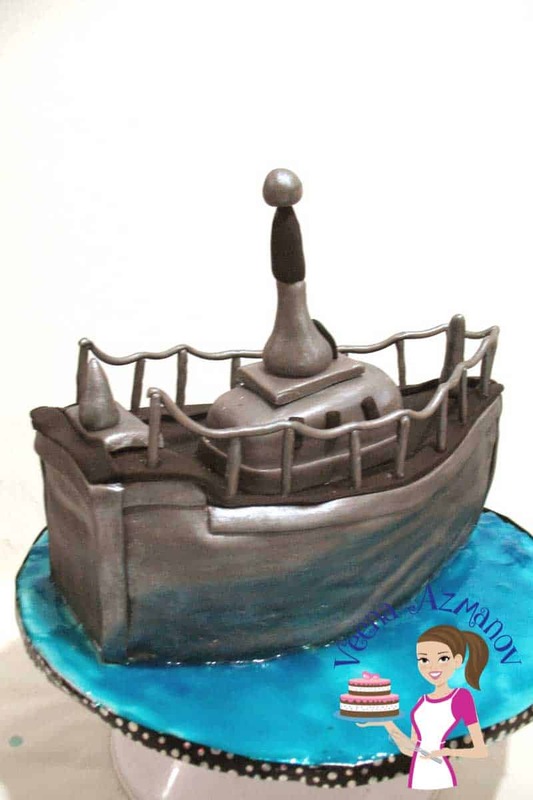 I was so excited when I got an order for a Navy Boat Cake. Cooking up all the amazing 3D designs that I could possible think I want to make. Then I spoke to my friend who asked for the cake and realized the budget barely covered cost. I didn’t want to say no because she wanted this cake for her son going t the army and all she wanted was just a simplest cake I could possibly make. So that’s what I did! I make a cake that the customer loved and really enjoyed. After all that’s what doing cakes as a business is all about. right? This is my brown butter cake recipe with Velvet American Buttercream. 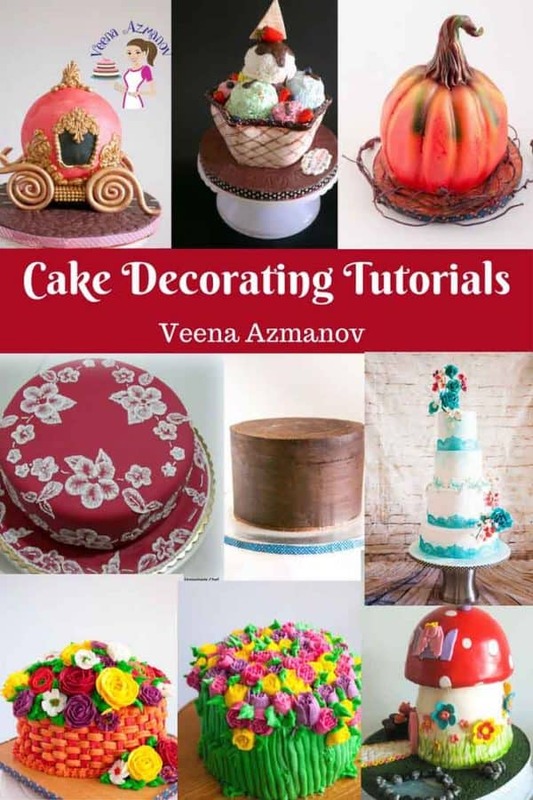 You can use any of my recipes for cakes or frosting here on my blog. At first I planned to take progress pictures but honestly it was so easy I didn’t realize I completed so much without taking any pictures. Sorry! I cut out the cake free hand into this shape. Looking at a picture on the internet does help. Crumb coat and second coat it. I used only crumb coat as I was requested for less frosting. Next I covered it with fondant – first the two sides cutting off the edges very neatly. Then the back. Next I added strips to cover the joints. Painted the whole cake with Silver luster dust mixed with vodka. Gives it a nice wet finish. If you use less Vodka you will get a very streaky finish. You may need to use more than one coat. I used one and then did not want to use too much of the silver so.. I would have preferred a more silver finish. 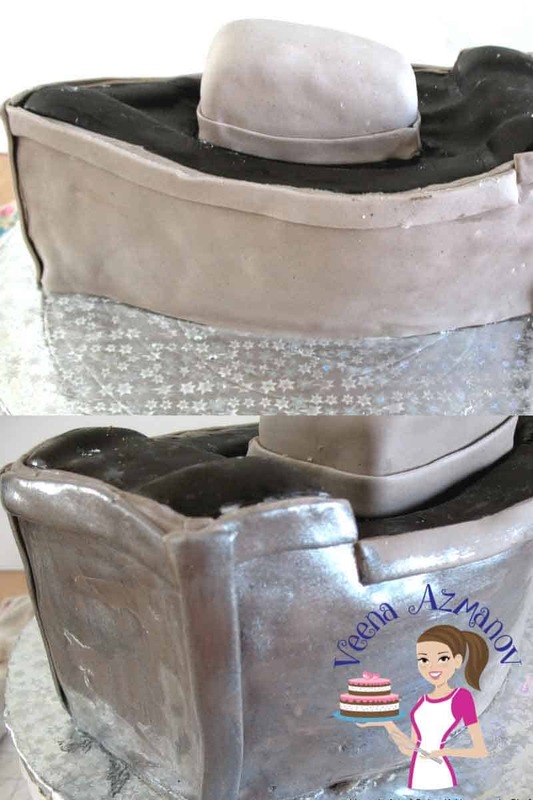 And of course continue to add more details using left over fondant. I covered the cake board in light blue. For the water I used piping gel. Yes! you can make piping gel at home too. Find my recipe here –How to make piping gel. Then just add blue gel color to make it blue. Don’t forget to save tutorial you like on Pinterest for later. Well, I do hope you like it and find my tips useful. 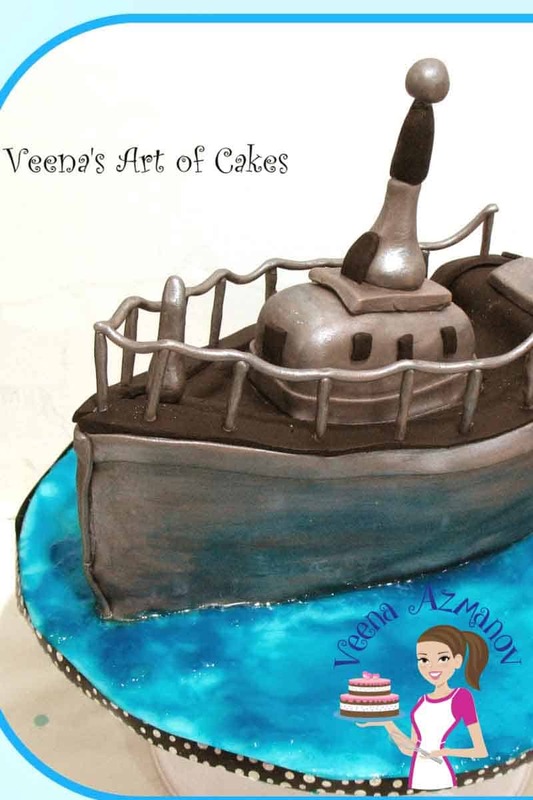 Hey veena…fabulous cake…I just have one question… Might sound silly…but could u tell me what shape of cake mould did u use? N what size? ?